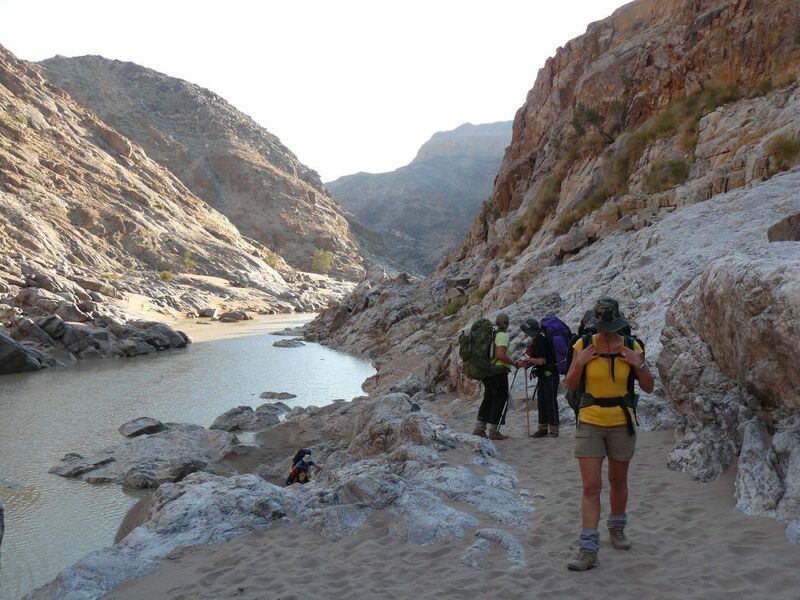 Wading through the Fish River in southern Namibia. 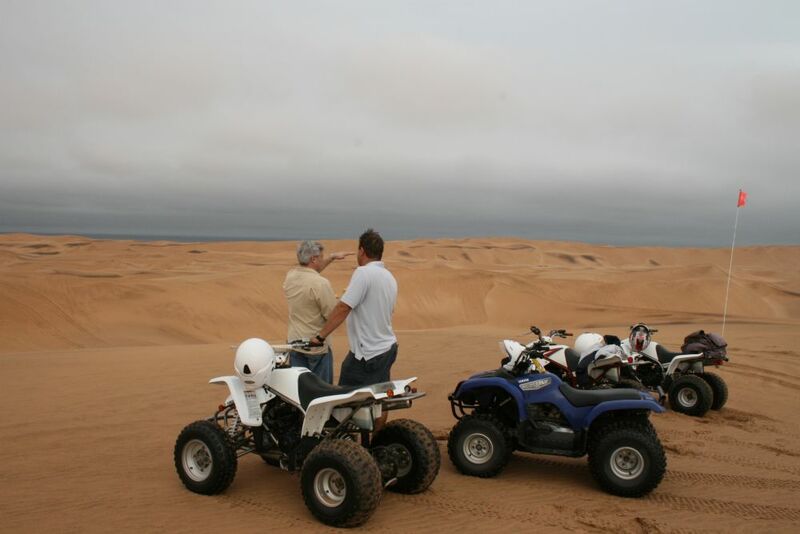 Motorized Watersports on Von Bagh Dam, Brucaros Crater, Orange River, Canoe trip on Orange River, Fish River Canyon, Sesriem Canyon, Sossusvlei area, Highest Sand Dunes in the World, Kuiseb Canyon, Skeleton Coast, Swakopmund, Sand Dunes, Quadbiking (ATVs), Dune Boarding, Excellent Restaurants, Sea Kayaking, Paragliding, Namib Desert, Spitzkoppe Mountains, Abseiling, Brandberg Mountain, Bushman Rock Art, Twyfelfontein Rock Engravings, Damaraland, Opuwo, Himba People, Epupa Falls, Kunene River, Whitewater Rafting, Etosha National Park, Crocodile Farm, Woodcarvers Market. 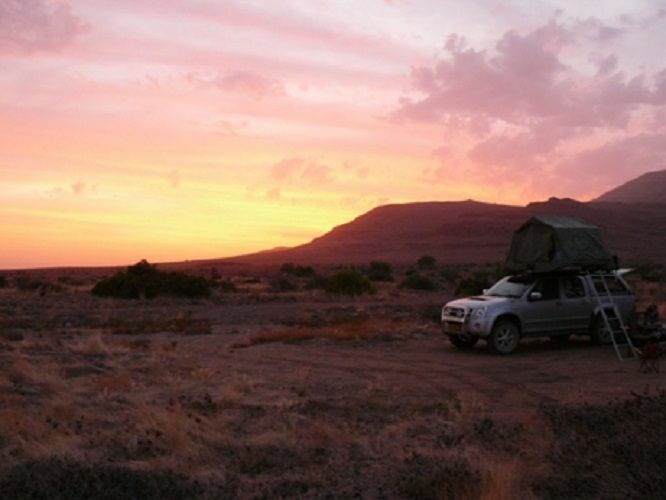 Travel to Brucaros Crater – Do some mountain biking or hiking in the area – Overnight Brucaros camp site. 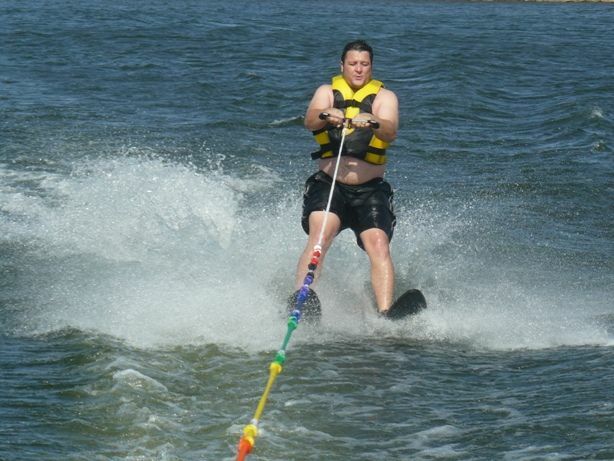 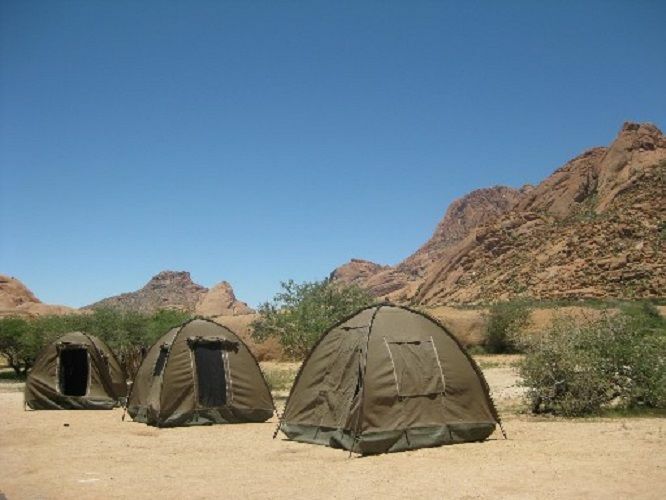 Travel to Orange River – Do some mountain biking, fishing. 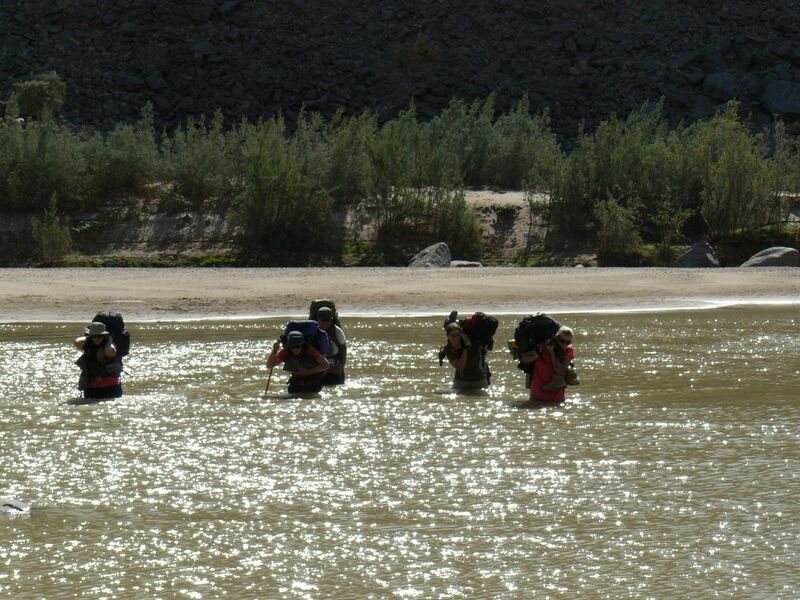 – Overnight on the river bank. 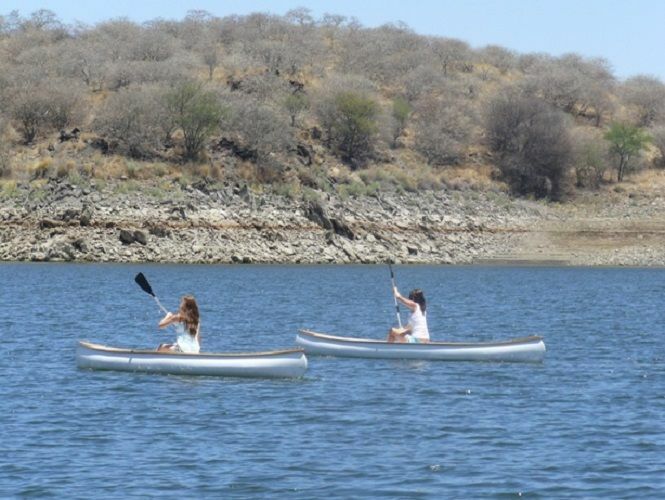 Canoe down the Orange River – Camp on the river bank. 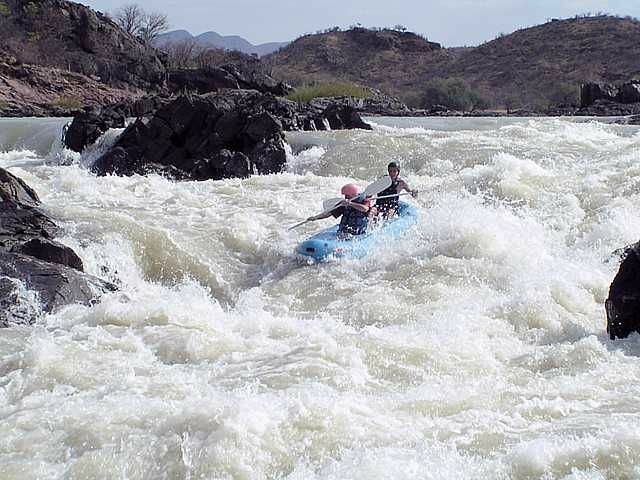 Canoe down the Orange River – Portage and Shambock – Travel to River Rafters Camp – Overnight at River Rafters camp. 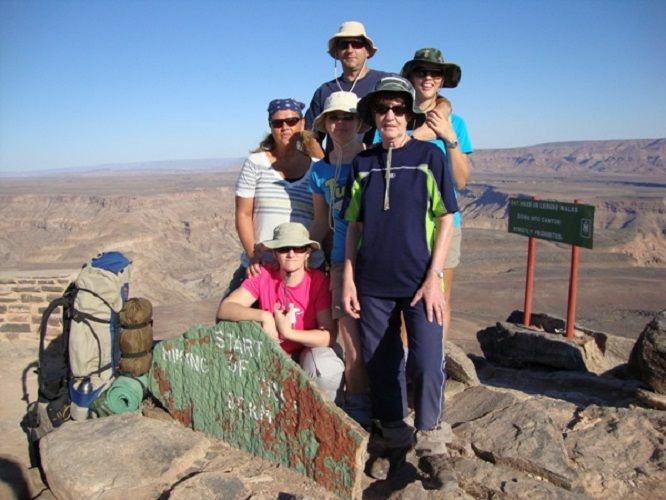 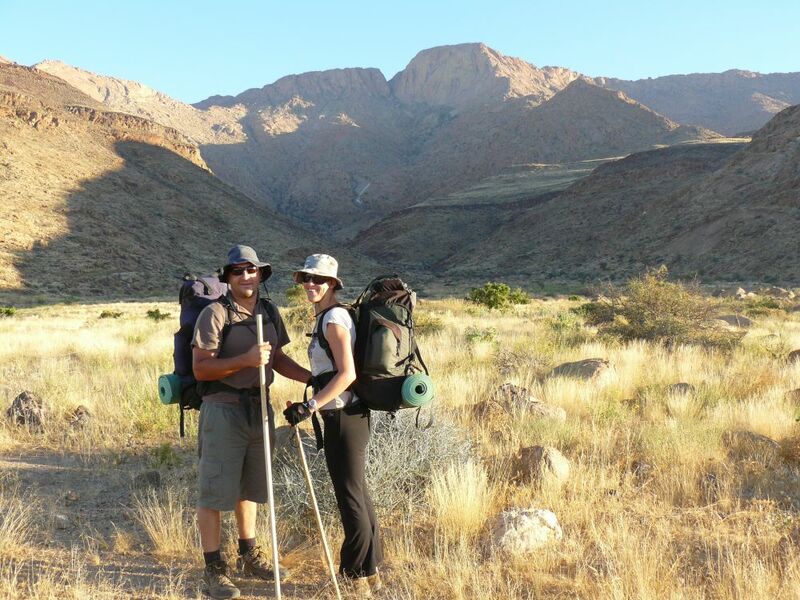 Travel to Fish River Canyon (second largest canyon on earth) – Do some mountain biking or hiking in the area - Overnight at Ai-Ais hot water springs. 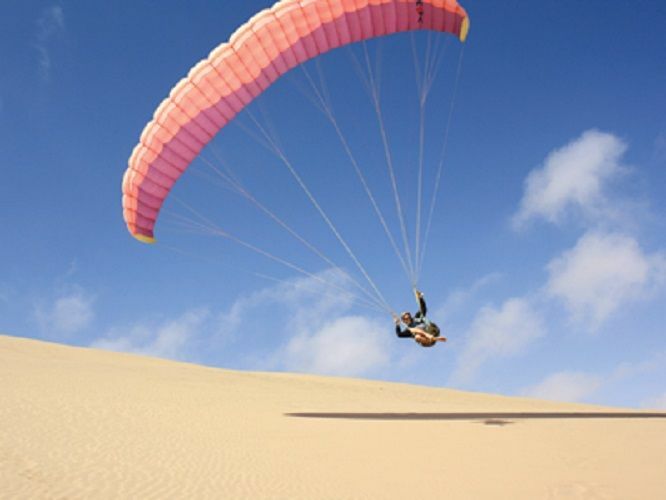 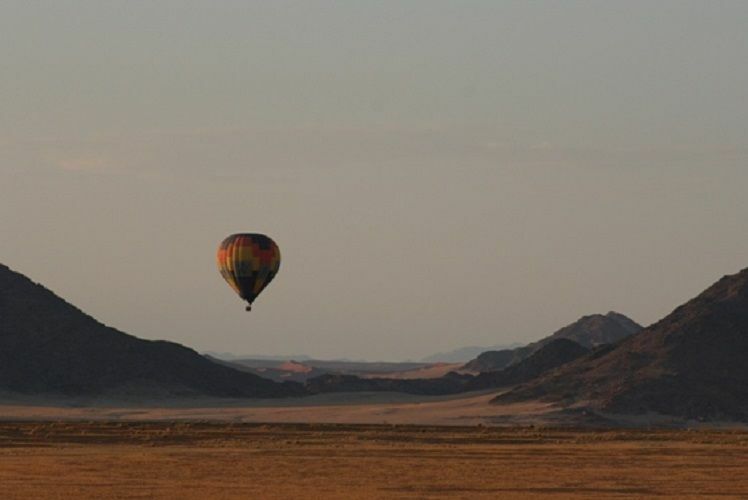 Travel to Sossusvlei Area – Do paragliding behind the truck on the open plains to get a bird’s eye view of this spectacular landscape – Overnight Sesriem campsite. 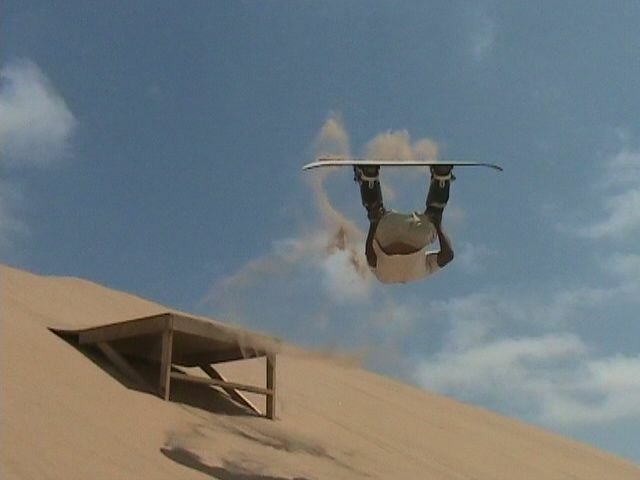 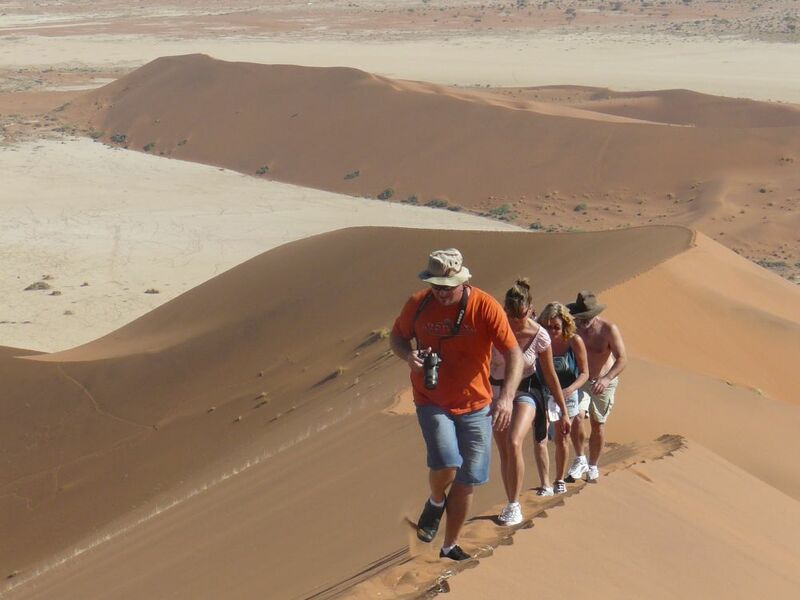 Travel to Sossusvlei – hike up one of the highest dune on earth – Visit Dead Vlei – Travel back to campsite. 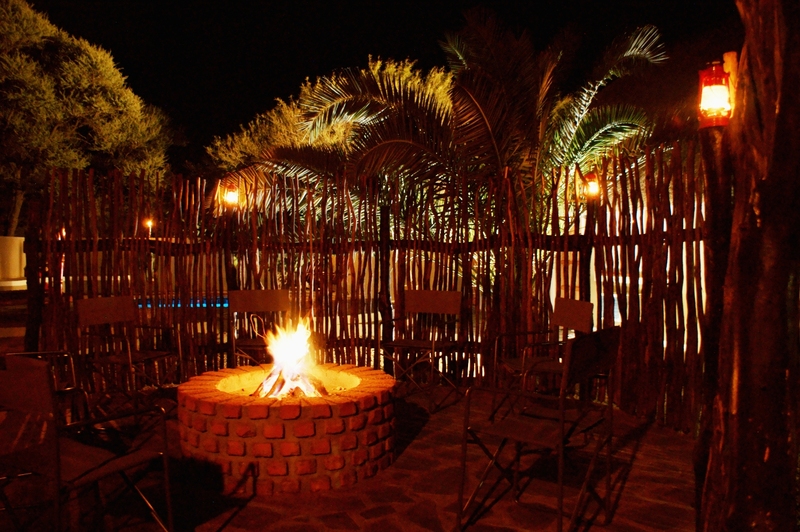 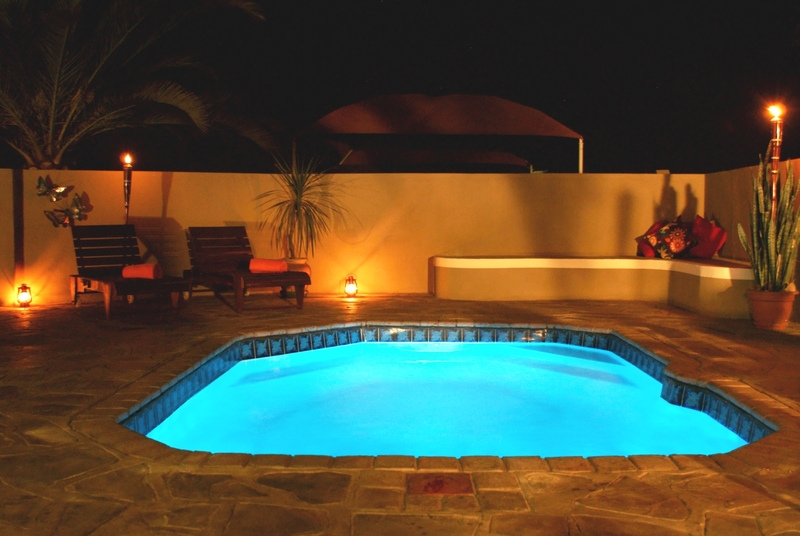 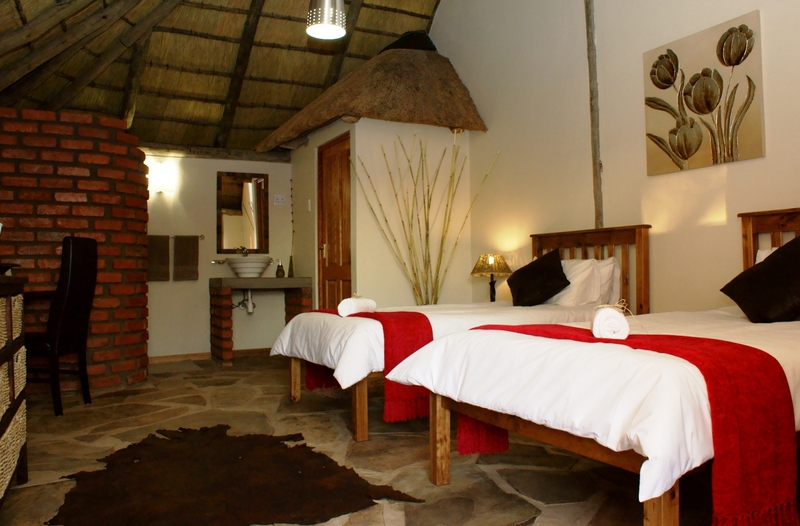 Travel to Fort Sesfontein and Palmwag – Do some mountain biking in the area - Overnight at Warm Quelle.